WWE: Brock Lesnar - Eat.. Conquer. Repeat. 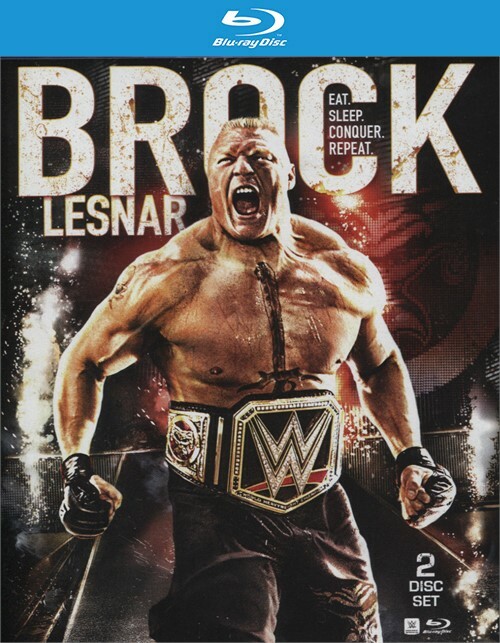 $19.99WWE: Brock Lesnar - Eat. $60.99WWE: Brock Lesnar - Eat. Since day one, Brock Lesnar has conquered every obstacle in his path of destruction. He has claimed championships, taken opponents to Suplex City, and put an end to Undertaker's undefeated WrestleMania streak. Witness Brock Lesnar's greatest matches and moments and see why he lives by the mantra of Eat.. Conquer. Repeat. Review "WWE: Brock Lesnar - Eat." Reviews for "WWE: Brock Lesnar - Eat."